Chobe National Park is one of Africa’s greatest game reserves. It is the third largest park in Botswana with an area of 10,698 square kilometres. 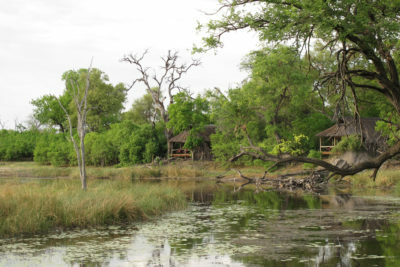 The Chobe Game Reserve was proclaimed by the colonial Bechuanaland Government in 1961 to control widespread hunting and logging. The park first opened to the public in August 1964 and was upgraded to national park status in 1968, following Botswana’s independence. Chobe National Park is home to huge herds of elephant, buffalo and Burchell’s zebra and high densities of predators such as lion, leopard, spotted hyena and cheetah. The park is also notable for the presence of more unusual antelope species like roan and sable, puku, tsessebe, eland, red lechwe, waterbuck and the rare Chobe bushbuck. Other more popular species such as giraffe, kudu, warthog, wildebeest and impala also abound. The Chobe River Front holds abundant wildlife due to the permanent source of water the Chobe River provides. 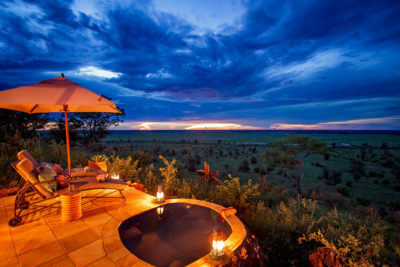 However, its easy accessibility from Kasane and the neighbouring towns of Victoria Falls and Livingstone has created quite a busy tourist area with larger hotels and lodges than in the more remote Okavango Delta. The spectacle of all the animals coming to drink and frolic at the water’s edge is certainly one to behold, particularly in the dry season (May to October) where water is scarce away from the river. In the rainy winter season (November to April) game is much less concentrated at the river as the animals spread throughout the greater area of Chobe National Park due to availability of surface water in seasonal pans. This dispersal enables the vegetation along the river banks to recover from the massive herds that graze there in the dry months. The summer rains bring beautiful wild flowers, exquisite scenery, impressive bird life and an abundance of young animals, usually born around November/December. The spectacular Chobe sunsets alone are worth a visit to the area. Please note that activities are restricted within the national park in accordance with government rules and regulations: these include no driving off-road, no walking and no driving after dark.